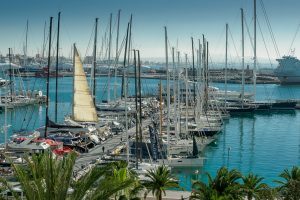 Can you imagine being moored in the center of Palma steps leisure and shopping in the city and in the most absolute discretion? Stop imagine, in the Pantalán del Mediterráneo we offer the possibility to moor your boat in magnificent facilities in an unbeatable location. Get out of your boat and direct access to the promenade of one of the best cities in the Mediterranean. Palma in your hand.